Why is the life of a firefighter who died a hero in the Twin Towers on September 11 worth a million dollars less than that of a stockbroker who lost his life in the same disaster? How much money should oil giant BP pay the countless fishermen on the Gulf of Mexico who are fighting for their livelihoods in the wake of the largest oil spill in history? How can ailing Vietnam vets be compensated for their suffering stemming from exposure to Agent Orange? What to decide for retired Teamsters faced with losing their hard earned pensions due to no fault of their own? These questions almost appear cynical, but not for America’s disaster compensation specialist Ken Feinberg. 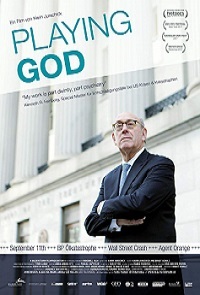 Witness firsthand this charismatic and controversial US attorney who has been charged with the impossible task of assigning a dollar value to life when compensating victims of many of America’s most tragic events. We accompany Ken on his current high-profile cases, recall his most challenging, and pay visits to victims’ families. Do they feel that they have been fairly treated by America’s “special master”? This candid complex portrait reveals the man who puts a dollar value on human lives.